In his August 2007 speech at the Foundation Stone Laying Ceremony of the Aga Khan Academy (Kampala, Uganda), His Highness the Aga Khan said today that what is required is an educational approach “that nurtures the spirit of anticipation and agility, adaptability and adventure.” As entrepreneurs, three East African Ismailis of the 1850s, Sir Tharia Topan, Sewa Haji Paroo, and Alidina Visram, were living embodiments of these characteristics, and I Wish I’d Been There to appreciate their spirit of adventure and courage. As members of famine stricken Indian families, 12 year old Topan arrived in Zanzibar in 1835, Paroo was born in Zanzibar in 1851 a year after his father arrived, and Visram, also 12, landed in 1863. Each rose from worker-to-retailer-to-wholesaler-to-caravan trader, and established giant East African empires importing cloth, beads, copper wire, and brass pots to exchange for ivory, rhino horns, hippo teeth, hides, and rubber. Born the son of a small vegetable seller in Kutchh, Tharia Topan left for Zanzibar in 1835 at the age of 12, penniless and illiterate. An accountant working with the prominent Indian firm of Jairam Shivji knew Topan’s father, and secured Topan the job of garden sweeper at six rupees a month. By the time he was 22, his honesty had earned him charge of the credit department and had made him wealthy. Topan was munificent. In 1881, he donated 200,000 rupees to a school established by the British in Zanzibar, and in 1887 built the Sir Tharia Topan Jubilee Hospital at a cost of £30,000 (US$140,000) to commemorate Queen Victoria’s 50th anniversary. Known as the uncrowned King of Bagamoyo, Tharia Topan died in 1891 in Bombay at the age of 68. Tharia Street in Zanzibar is named after him. Though wealthy, Paroo was religious, and “known for exceptional generosity towards the sick and poor – whether Indian, Arab or Swahili.” During outbreaks of cholera and famine in Bagamoyo, he donated many wells and large tracts of land (reportedly over 50,000 acres) to the local Catholic Mission. In 1892, he donated a three-storey building for a multi-racial school, and later established a hospital, a hospice for caravan porters, and a home for lepers. In Dar es Salaam, he funded its biggest hospital, the Sewa Haji Hospital, now annexed to Princess Margaret Hospital. 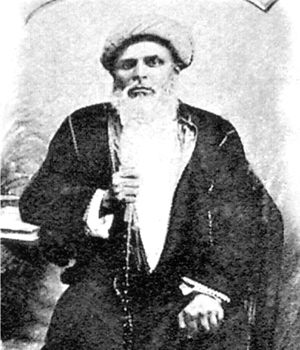 “In Mombasa, he donated a large and valuable property to the Ismaili community for a cemetery that is still in use today.” In 1895, he was conferred the title of Alijah by Mawlana Sultan Muhammad Shah for his generosity and influence. 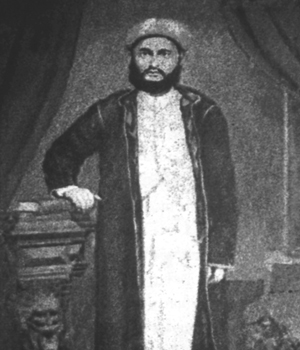 Alidina Visram landed in Zanzibar from Kutchh in 1863 at the age of 12. “It is believed that in the same year he went to Bagamoyo to work as an assistant for Sewa Haji Paroo.” He later began to organize his own caravans between Bagamoyo and Ujiji. Upon Paroo’s death in 1897, Visram took over his caravan trade, and expanded caravan routes north from Mwanza into Uganda and Kisumu, Kenya. Though Visram was one of the wealthiest Ismaili traders, eventually known as the uncrowned King of Uganda, with over 3,000 workers, he was also a philanthropist. In 1905, he donated a large sum for the first Jamatkhana in Kisumu. 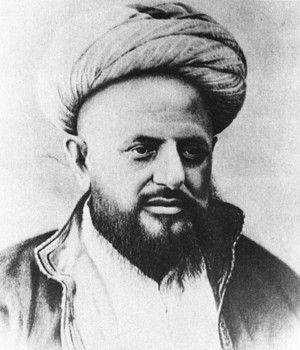 It was then Mawlana Sultan Muhammad Shah asked him to help the indigent Ismailis of Kathiawar settle in Kenya and Uganda, which he did with the assistance of Mukhi Valji Hirji and Mukhi Varas Hashim Jamal, helping immigrants find accommodation and employment, and obtain trade goods on credit. Sir Frederick Jackson, the Governor of Uganda, described him as “a charming old gentleman, respected by everyone in the country, high and low, white or black.” Mangat writes, “[P]erhaps the most important factor for the success of Alidina Visram’s pioneering ventures, were the peaceful nature of his penetration of the country unaided by arms.” Alidina Visram died in Mombasa on June 30, 1916. For me, these three East African Ismaili entrepreneurs embodied a spirit of adventure and courage sorely missed today. About the writer: An honours graduate of Simon Fraser University in Computer Science and Mathematics, Mohib Ebrahim has been involved in software development and the IT industry since the ’80s. His current IT project, MasterFile (see www.masterfile.biz), is a state-of-the-art evidence system for academic researchers, investigators and litigators. A keen amateur astronomer for over 30 years, Mohib also enjoys kite flying and studying the relationship between faith and reason. At present he is assembling a comprehensive database of the His Highness the Aga Khan’s speeches and interviews. He can be reached at: mohib [at] sent.com. 1. Please click I Wish I’d Been There or visit the home page www.simerg.com for links to other published articles in this special series. 2. We welcome feedback/letters from our readers. Please use the LEAVE A REPLY box which appears at the bottom of this page, or email it to simerg@aol.com. Your feedback may be edited for length and brevity, and is subject to moderation. We are unable to acknowledge unpublished letters. Thank you, Mohib, for sharing the lives and adventures of the Ismailis of early 20th Century and their settlement in East Africa. Certainly they were the Kings without the Crowns! This is the real spirit of an Ismaili murid, whether one is in position or not. To know to reflect the wishes of Imam for the Jamats. My salutes and heart felt prayers for such heroes. Our hearts are filled with immense joy and gratefulness to our Imam who worked tirelessly to move our fathers from Cutch and Kathiavar to East Africa. They did full justice to Sultan Mohamed Shah’s expectations and achieved the title of uncrowned kings from total penniless state. Mowla Lakh Lakh shukhar that we are born as Ismailis and having Your protection over us and may we always exceed your expectations. These are the pioneer Ismailis whose love for our Imam, the tariqah and Umma was the real essence of their and the Jamats successes in Africa. They really loved to work for their IMAM of the time zealously without any self interest for position but serve the Imam. There are still people like them in the present time who if given opportunity can set high goals for the Jamats’ development in a similar fashion. This 3 East-African Asians were the true pioneers with adventurous and philanthropist spirit in them. This is a very informative review of the lives and services rendered by some key Ismaili pioneers from East Africa. A great example to all of us in our endeavours to serve the Jamat and humanity at large in the true spirit of Islam. This is an excellent write-up on the three great Ismailis from East Africa. It is heart-warming and encouraging to do active service for the poor deprived in the world either financially or through knowledge or both. My paternal grandfather worked for Alidina Visram in Kisumu-Kenya as Estate Manager. He was a manager of a farm when the (Spanish) influensa struck him at the age of 31 years old, from which he died around 1918. This was 2 years after the death of the Seth (Boss) Alidina Visram. My father too worked for a while for the Family of Alidina Visram in Kampala, Uganda. Many Ismaili youths did at that time on their way to fulfil their ambitions of becoming businessmen. My father worked for them for a very short time, though. It must be around 1930s-40s. The Member of Parliament Mrs. Sugra Visram, who now to my knowledge lives in the UK was a daughter-in-law of Alidina Visram. Please corect me if I am wrong. “Those were the days” – I hear this from my mom whose mother and grandparents had stories about the glorious time that followed. I was hoping just yesterday someone would write about Zanzibar and how the Ismaili history in this area began, and you have flavourfully done so. Thank you. I am sure many will be quite nostalgic about it. These pioneers are the bedrock of Ismailis in the 3 main countries of Kenya, Uganda and former Tanganyika, later to become Tanzania, that many of my Jamati members in Birmingham come from. In India, the Khojas were just porters picking loads for the rich and transporting passengers on rickshaws until the Imam of the Age encouraged them to leave Indo-Pak of those times and emigrate to Africa where these pioneers had already prepared the ground for them to take up a new life. Thanks for this piece of research! This is a very informative review of lives of most important Ismailis from East Africa. Mohib’s last sentance about spirit of adventure and courage will be a stimulus for so many young Ismailis who are now willing to give their time and knowledge for the dreams that Mawlana Hazar Imam outlined in his Golden Jubilee message.